By investing in an index fund, an investor gains exposure to dozens or hundreds of different financial securities, including stocks. This type of exposure might not be reasonable or possible by investing in individual stocks. An investor might not have the financial resources, time or expertise to select an investment portfolio that is similar to that which can be achieved through an index fund. An index fund is a passively managed investment portfolio, according to Stifel Financial. This is in comparison to an active fund, where a fund manager can make frequent changes to the composition of the investment portfolio. Stocks in an index fund do not frequently change. The primary goal of an index fund is to perform inline with some industry barometer, or benchmark. Investors can expect to earn returns that are comparable with the benchmark and to not dramatically outperform or under-perform the markets. Most investors can achieve greater diversification by investing in an index fund versus trading individual stocks. According to a 2011 article in the "Chicago Tribune," even the most experienced investment professionals struggle with creating investment portfolios filled only with standout stocks. By gaining the exposure to an index fund, an investor is not limited to the performance in one or a select number of stocks. An index fund that replicates the S&P 500 index, for instance, tracks performance in stocks that are widely traded in the financial markets. Typically, an investor is charged commission fees by a broker for purchasing and selling individual stocks. The expenses inherent in in index funds are low largely because there is not much buying and selling activity in these portfolios, according to a 2007 article in "The New York Times." 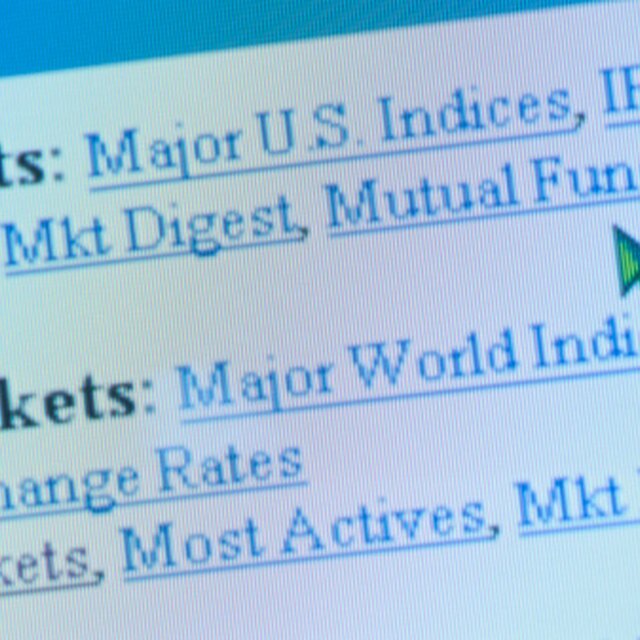 Index funds can also be a wise investment when there is volatility in the stock market. The article suggests that index funds cut down on volatility, are a low-cost option for investors and that their performance is difficult to beat. What Is a Good Expense Ratio? Index funds require some calculation to determine how much influence an individual stock has on the index's value. Mostly, index funds rely on a company's market capitalization, which is a measure of the size of a business, to determine its influence, according to Smart Money. It would require a great deal of research in order for individual investors to replicate these formulas. There are also certain index funds, such as exchange traded funds, that give equal weighting to every stock in the index.